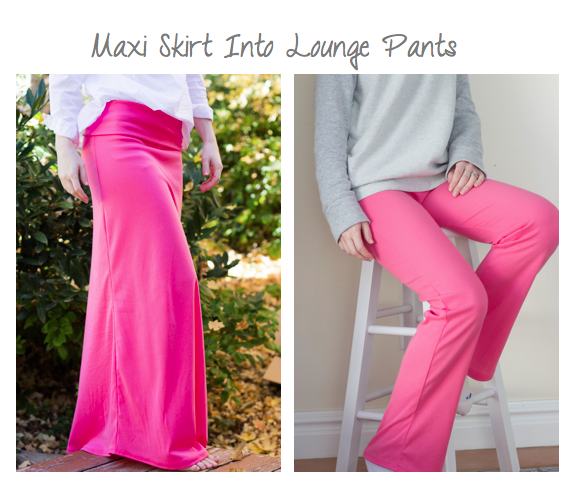 Take your favorite pair of pajama pants and your maxi shirt. 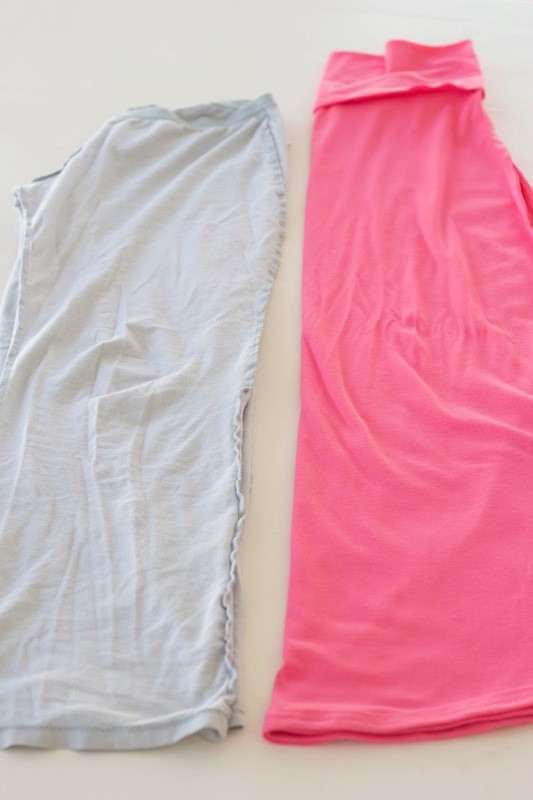 Pull them both inside out and fold them in half like so. 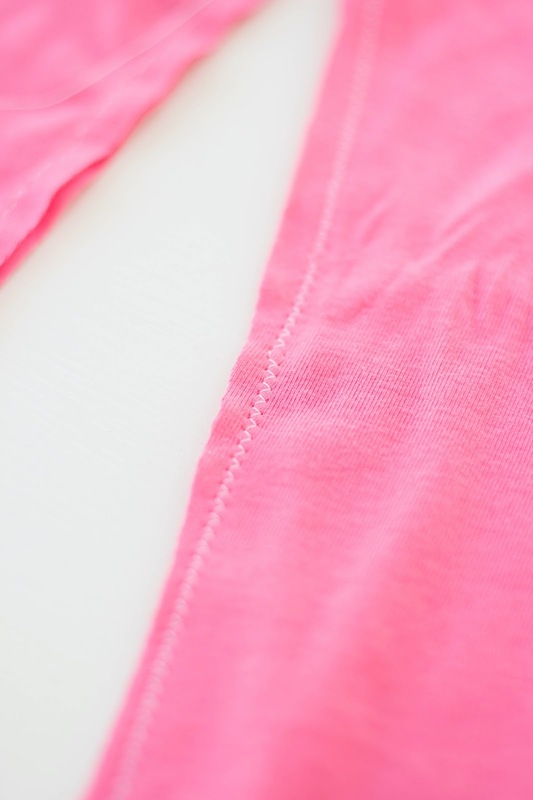 On the pants, they are folded as if the bum cheeks are smack together with the tag in the middle of the fold, like so. On the skirt, the sides seams are now smack together and there is a fold down the left hand side. 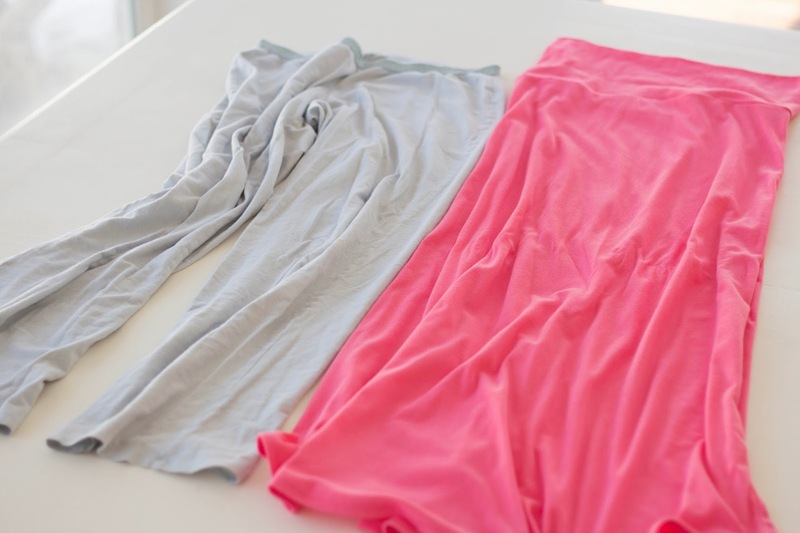 Put the pants right on top of the skirt, the fold of the skirt is hanging out to the left. 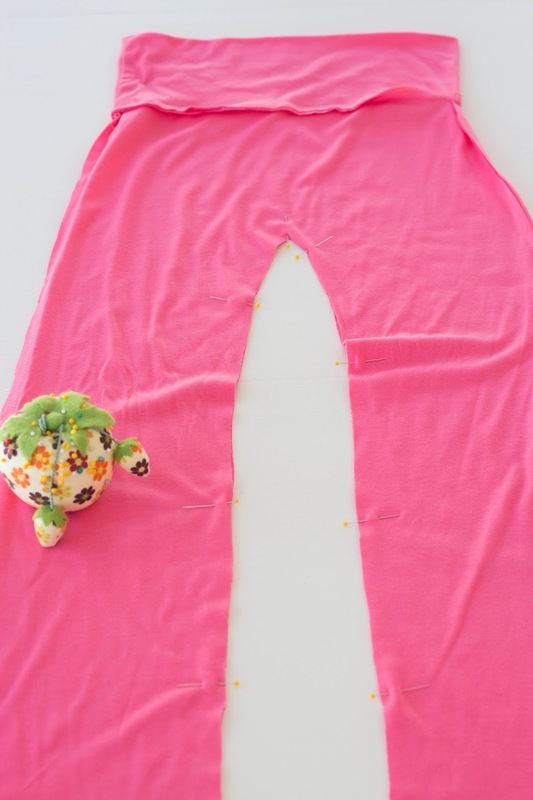 Line up the bottom so you don't have to hem anything when done. 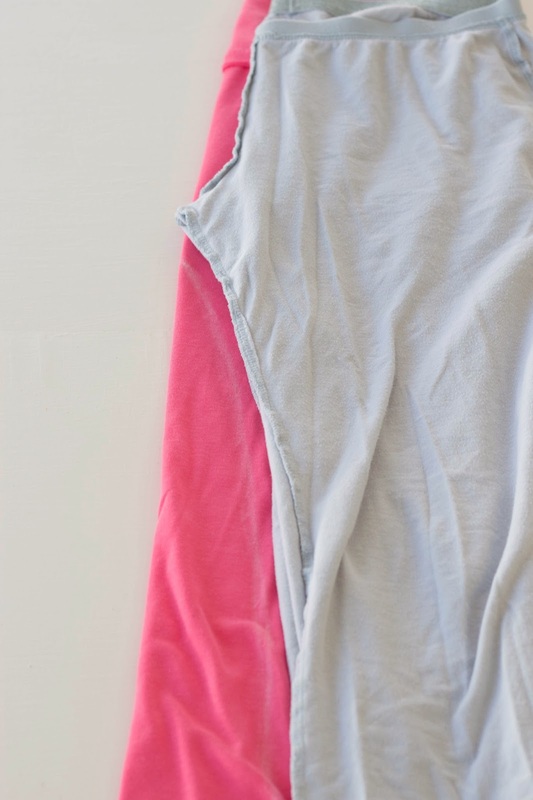 Grab some chalk and follow the pant line about .5" away leaving room for seam allowance. 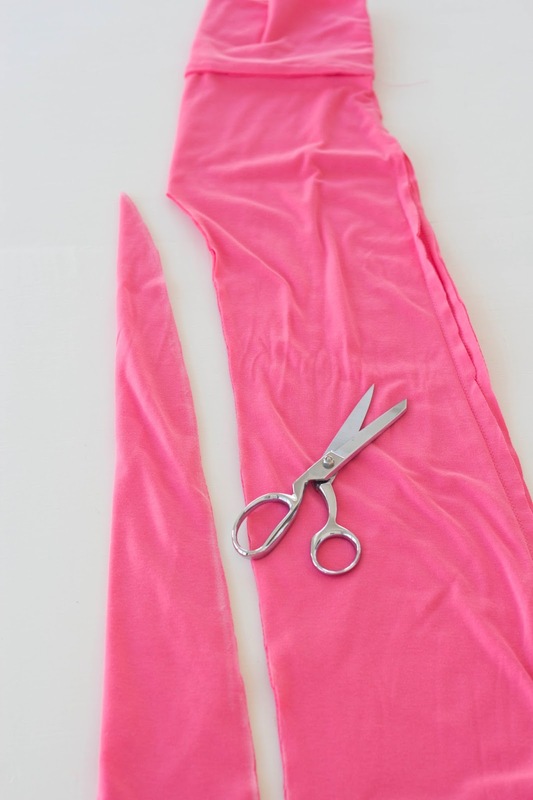 Stop at the crotch seam. 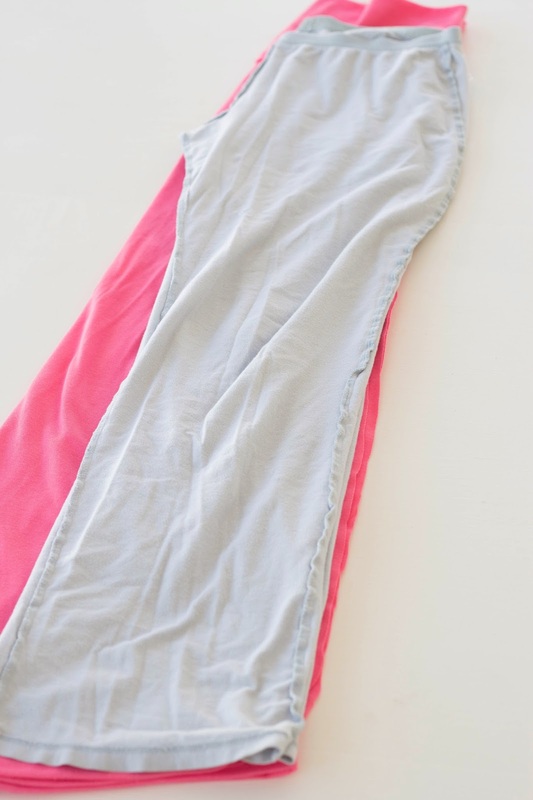 Unfold the pants and pin the inseam. Since my fabric is stretchy, I zigzag stitched the pant legs. Serging would be best, but I don't own one of those wonderful machines. There you have it! Now it's time to cozy up to the fire and drink some hot chocolate, because I'm staying in tonight. Clever! I love repurposing things.